With the Oscars just a few weeks away, there’s much buzz in the film world about the 2014 nominees. Among the “best picture” contenders is partially-made-in-Virginia Captain Phillips, nominated for six Academy Awards. To share the exciting news of having Captain Phillips filmed in the state, the Virginia Film Office issued a press release on the movie last fall. 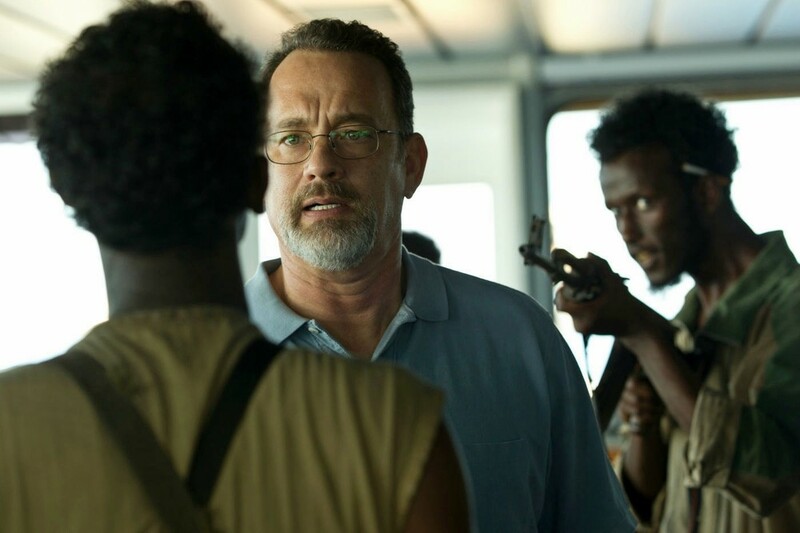 Directed by Paul Greengrass, the movie stars two-time Academy Award-winner Tom Hanks in the titled role and Barkhad Abdi (a first-time actor from Minneapolis) in the role of Muse, the leader of the Somali pirates. For his powerful portrayal of Muse, Abdi recently won the British Academy Award. Captain Phillips is based on the book A Captain’s Duty: Somali Pirates, Navy SEALs, and Dangerous Days at Sea by Richard Phillips with Stephen Talty. It’s the true story of the 2009 hijacking of the U.S. cargo ship Maersk Alabama by a band of Somali pirates. 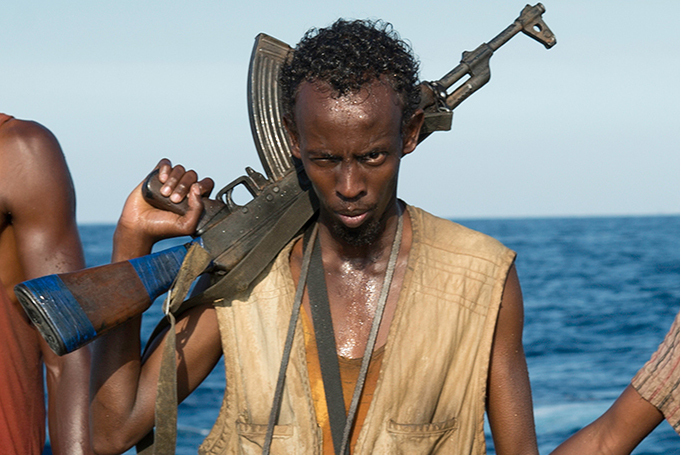 PHOTO CREDIT: Above is a production still from Captain Phillips featuring actor Barkhad Abdi as Muse, the leader of the Somali pirates. In addition to Virginia, the movie was also filmed in other locations throughout the world including Malta (with the Mediterranean standing in for the Indian Ocean), Morocco and Massachusetts (in Lincoln and Sudbury). The scenes from Captain Phillips that was filmed in Virginia Beach, Virginia are the ones involving the dramatic rescue by the Navy SEALs. Scenes that were filmed in Massachusetts includes the ones with Tom Hanks shot at Matlock Farm on Old Lexington Road in Lincoln, Massachusetts. The decision to film in Hampton Roads, Virginia was mostly due to the Navy’s power of persuasion and accommodations. “A high-ranking admiral met with us in Los Angeles and made a promise to me: If we brought the movie to Norfolk, Va., he’d get me - in his words - everything I needed,” said Gregory Goodman, executive producer on Captain Phillips. PHOTO CREDIT: Above is a production still from Captain Phillips. Another reason Captain Phillips decided to film in Virginia was the availability of the Navy cast. The Halyburton, an Oliver Hazard Perry-class frigate involved in the real-life rescue four years ago, portrays itself in the movie. The other ships were recast. The Wasp, an amphibious assault ship, stood in place for the Boxer, the ship that was part of the Navy’s anti-piracy task force. The Truxtun, a guided missile destroyer, played the Bainbridge, one of two ships, along with the Halyburton, that trailed the Somali pirates who kidnapped Captain Phillips. Captain Phillips was awarded a $300,000 grant from the Governor’s Motion Picture Opportunity Fund. The project spent $2.6 million in Virginia for a total economic impact of $4.6 million. 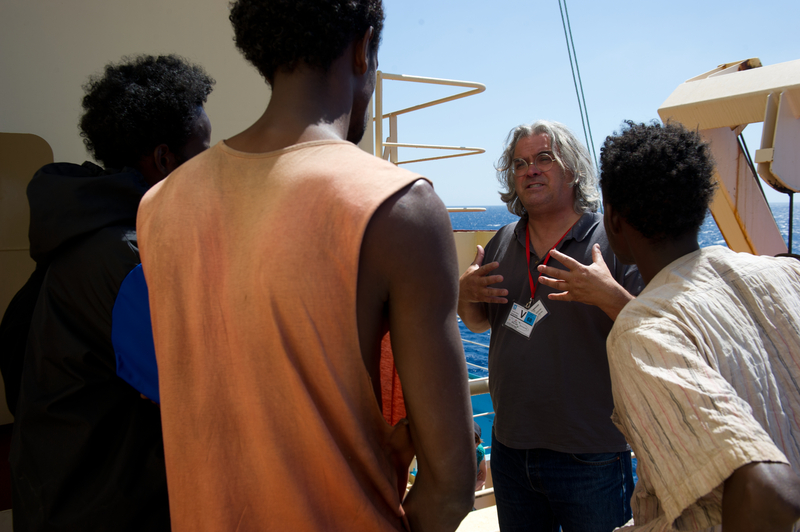 PHOTO CREDIT: Above photo (from here) features director Paul Greengrass on the set of Captain Phillips with Barkhad Abdi and other actors. The film industry in Virginia plays a major role in the state’s economy. In 2011, the total economic impact of the film and television industry in Virginia was $394.4 million, a 14.5 percent increase over 2010. Not only that, 3,817 jobs were created in 2011 because of productions filming in the state, up from 2,651 jobs in 2010. For more information about Virginia’s film industry and Virginia’s locations available for filming, visit the Virginia Film Office’s website. Captain Phillips premiered last year on September 27, 2013 at the New York Film Festival and continued on to the London and Tokyo Film Festivals. And not surprisingly, Captain Phillips is now heading to the Academy Awards on March 2, 2014. We’re proud to share that both the Virginia Film Office and the Massachusetts Film Office are Reel-Scout clients. PHOTO CREDIT: Production still from Captain Phillips. Banner image of Captain Phillips via Google.